Amazon Echo Review: Launched in India - Should You Buy It? 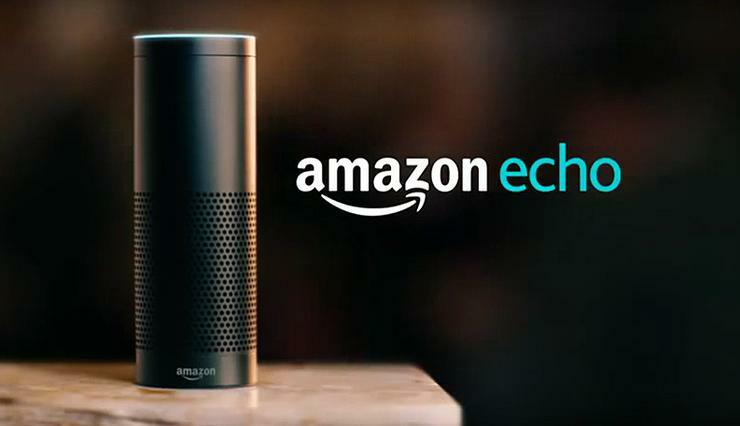 The Amazon Echo was the actual device that inaugurated the voice activated services led by Amazon. Purely based on the home ambitions, the Amazon Echo is still the core of the lineup that everyone would love to use. Are you willing to use a voice-activated service to do your work in the home? Do you feel to beat the time by letting someone else do work for you and relax? If you don't have the Echo now, it's the time for you to purchase it! But before you do, simply go through the Amazon echo review now! Well, the Amazon Echo is just there for you to enlighten the ambiance in your home. 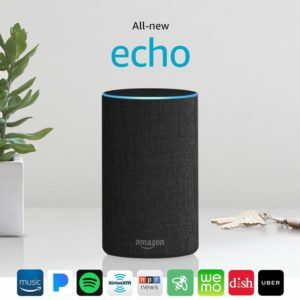 The Echo is one of the first devices with Amazon voice assistant which is a rival to Apple's Siri and Microsoft's Cortana and it allows you to play music and do a lot more at the same time. What are the Features of Amazon Echo? What are the Pros and Cons of Amazon Echo? Wi-Fi connectivity Dual-band Wi-Fi supports 802.11 a/b/g/n (2.4 and 5 GHz) networks. Does not support connecting to ad-hoc (or peer-to-peer) Wi-Fi networks! Simply imagine a Bluetooth or a Wi-Fi speaker which has a voice-controlled personal assistant inside. This is the Amazon Echo and the integrated voice module which supports the needs is known to be as Alexa. The Artificial Intelligence used to drive the Alexa is indeed a delicate work of technology. Infact, she is the first AI personal assistant to merit a completely dedicated device. The work of Alexa is to collaborate with the help of third-party apps and then answers any doubts or questions asked by the user. The Amazon Echo has stunning features to listen to commands, answer the questions and then play music or controls some of the smart home devices. The Echo is basically much-improved device since it has been launched and it has been updated every month. Amazon is pushing out integral upgrades at a regular interval that helps the users to get the latest updates instantly. These updates are being pushed into the Echo with the help of third-party apps known as Skills. We have made a deep research of this Amazon echo review and curate a perfect guidance for you. The Echo is practically three devices in one. Basically, it is a smart home controller that can easily turn the devices on and off with the help of internet. The voice modulation is integrated with a new level that can implement on almost everything. Read more to enjoy the detailed Amazon echo review from here! Before you buy the Amazon Echo, this detailed Amazon echo review will help you a lot more to know about some of the stunning features it has. Well, a lot of people might easily guess the Echo wrong as a portable dehumidifier, but if you are thinking it as the same then you are completely wrong in it. The color of the Echo is Matte Black and the dimension of it is nearly 9.25 X 3.27 inch with a cylindrically shaped body which makes it look to be professional. 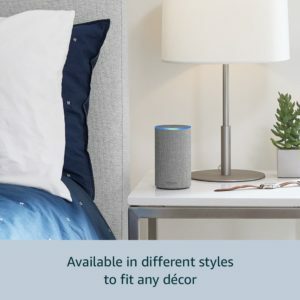 If you have found the perfect position to place the Amazon Echo for your home, then you do not have to move the product much. Infact the weight of the Echo is only 1.7lb which means that it is quite light. 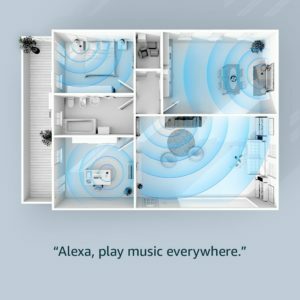 Unlike the Bluetooth speakers amazon, the Echo actually gets connected with the mains all the time, and you do not have to reconnect them every time. The Echo is equipped with a flat battery that generally supports s the system quite well but dies out due to constant internet connectivity with the device. There is no 3.5 mm jack either present in the device which adds a lot to the design of the Echo device. Apart from this, the device is quite sleek which is added with a professional touch at the same time. On the side is the volume ring which glows blue when you call up Alexa. 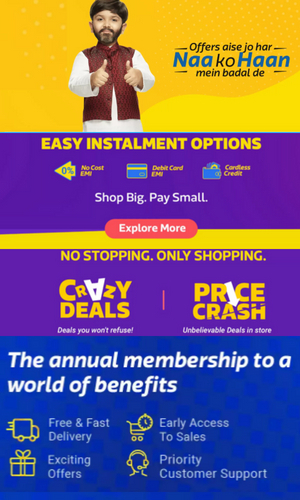 This integrated device has a lot to offer as it can get easily get benefitted. There is a mute button on the top and it glows red when you press it and you get to know that the device is not listening at all. In our detailed Amazon echo review, we will guide you how to get the device properly set up with the other devices in the house. If you have smart home devices in your home, then setting up the Echo with them is just easy. Simply open up any smartphone and download the companion app for Android /iOS according to your needs. 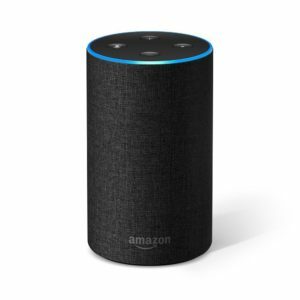 You can also visit the Amazon.com/echo setup if you wish to collect more information. 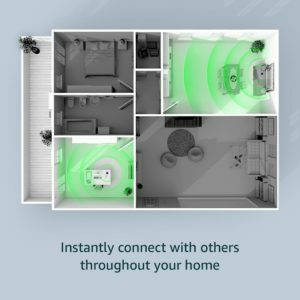 However, you can pair the device with the Home Wi-Fi that gives a proper connectivity with every device in the home which has this technology. To link your phone or tablet with your device, all that you need to say is “pair”. Requesting the music via a command can surely be easy with the help of the Amazon Echo. In our Amazon echo review, we would explain what we felt using the device. The sound quality is quite agreeable enough at the low and high while it is very clear with the voice. Apart from this, there is a little weight to the sound which makes it good for you to dance. You can easily connect Bluetooth speakers Amazon with the device and listen to music at a different place. If you know what is Amazon Alexa, then using the device would be indeed a good option for you. The Voice recognition module used for the Amazon Echo is quite good to use. It has far-field voice recognition. This supports action from wherever you are in the room even if you are playing any music with the loudspeaker. The voice recognition has improved since the Echo's launch and infact; there is some more advantage to this. When compared the Amazon echo reviews with the Xbox One’s voice commands, the Echo definitely leads its way. By far, it is the smartest Bluetooth speakers Amazon has produced and certainly it can give you a fair advantage to keep in your house. You never have to look more for it. The Amazon Echo is certainly your new companion to the home if you are thinking to go one step ahead. The Echo is compatible with many of the smart home products including the TV, the phones, and many other services. There are plenty of other products which can work through the hub and can easily fit in your requirements. It is perfect if you have already invested in a smart home tech. You can easily use a HomeKit that can be always compatible with your needs. The 3000 Alexa Skills which are integrated with the device is also very helpful to find all your requirements easily. It seems like the second generation of the Amazon Echo is set to be launched and this time, the device gets much better and also integrated. You can easily check the prices of the device in our Amazon echo review from here! The Amazon Echo is indeed a smart device that you can purchase for your smart home. To understand the device better or to know what is the amazon echo and what is Amazon Alexa you can easily go through the detailed Amazon echo review which we have brought up. It certainly is a vulnerable choice for anyone to choose the Amazon echo and purchase it. However, if you want an integrated device, you can also look for the Amazon echo Plus review!